Could this Become Volvo's BMW X6 Fighter? Volvo wants a new small crossover, and this is a pretty good start. Volvo is out to reinvent itself. Well, it really just wants to survive and remain relevant in an increasingly competitive luxury market. Not so long ago, Volvo wanted to build a large sedan to face off with the BMW 7 Series and Mercedes S-Class. In hindsight, that wasn’t the best idea. Instead, Volvo is focusing on the crossover/SUV segment, as evidenced by , all-new XC90. It features the now Chinese-owned brand’s latest example of Swedish automotive styling. It really can’t be mistaken for anything other than a Volvo. A company executive recently stated that the next major project will be a small crossover. Or could it turn out to be more like a BMW X6 alternative? Rendering artist Theophilus Chin’s latest project was originally intended to be an idea for a supposed Volvo coupe SUV to rival the X6. The result clearly turned out differently, but we think he’s on to something here and Volvo should take note. 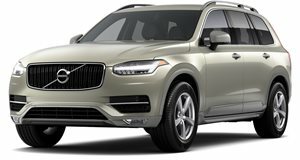 The theoretical XC80 looks more spacious than the X6 and also features Volvo’s current styling language. Definitely something for Volvo to explore further.